The big GDC Europe conference in Germany is just months away, and today GDC organizers are happy to announce a popular talk that will be taking place at the August conference from the developers of the critically acclaimed Limbo. Playdead visual effects artist Mikkel Svendsen and graphics programmer Mikkel Gjoel will speak at GDC Europe about techniques you can use to achieve striking, high-fidelity visuals in your next game. To explore how a unique art style is created technically they'll also show you how they authored lighting as entirely separate diffuse, specular and bounce-light entities, while focusing on artist-approachable tools meant utilizing analytic primitive-based ambient occlusion and screenspace reflections. This year's GDC Europe conference in Germany is coming up quick, and today event organizers like to tip you off to a great talk about strategy game design that will take place at the summer conference. Come August, GDC Europe 2016 attendees will have an opportunity to attend the "Strategy Game Design and the Operational Level of War" talk from Plarium's Guy Ulmer. The one-time Red Alert modder now serves as an expert on optimizing mobile games, and during his presentation he'll show you how a better understanding of some basic military discipline when building a strategy game will help designers better define their niche in the crowded strategy/RTS game markets. The 2012 Game Developers Conference Europe (GDC Europe) saw more than 2,100 game industry professionals through its doors last week, breaking the event's previous attendance record. Running from August 13-15, GDC Europe saw keynotes from industry leaders like Ubisoft Montreal's creative director Alex Hutchinson, CEO of Wargaming.net Victor Kislyi, and Epic Games senior engine programmer Niklas Smedberg. It's been many months in the making, but GDC Europe 2012 is starting this coming Monday in Cologne, Germany, and will feature a slew of exciting, must-see sessions for the European game development community. 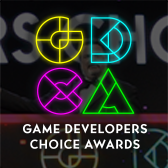 Over the past several months, GDC organizers have announced major keynotes, panels, and presentations from the best and brightest in the game industry, and with so many talks lined up, this year's GDC Europe promises to be the most robust and varied yet. - The first talk comes from independent developers Martin Jonasson (Jesus vs. Dinosaurs) and Petri Purho (Crayon Physics), who will demonstrate some tricks that can help make your games more interesting to play. During the Independent Games Summit session closing out the show on Wednesday, the pair will spruce up a game live on stage, showing attendees exactly how these tips can benefit or enhance game design. - In addition, Harald Riegler, CEO of the Australian studio Sproing (Silent Hunter Online, Panzer Tactics DS) will discuss the importance of company culture in his Business Track talk, offering tips on handling leadership, managing team dynamics, and creating a studio that works effectively as a single unit. With just one day to go before online registration closes for GDC Europe, show organizers have revealed new details on a trio of upcoming sessions, featuring a behind the scenes look at Madfinger's Dead Trigger (pictured), a postmortem on Gree's Animal Days, and a panel covering the ins and outs of critical writing and reporting in the game industry. These talks all fall within GDC Europe's Main Conference, which takes place Monday through Wednesday, August 13-15, 2012 at the Congress-Centrum Ost Koelnmesse in Cologne, Germany. Those looking to attend the show should act soon, as lower-cost online registration will close tomorrow, August 7 -- after that date, passes will only be available for purchase on-site. - As part of the Programming track, Madfinger Games CEO Marek Rabas and senior programmer Petr Benysek will host "Bringing Dead Trigger into Life," offering an inside look at how the team created its visually stunning mobile shooter. The pair will provide a step-by-step look at the game's production, detailing everything from AI behaviors, design decisions, performance optimization, and much more. - Over in the Game Design track, Gree development manager Hiroyuki Haga will discuss some key mobile development lessons in "Animal Days Post-Mortem: Developing a City-Building Game That's Ready for Quick Content-Iteration." Using the just-released city-building mobile game as a reference, Haga will explain how Gree quickly generates game content, and maximizes the performance of all of its new releases. - Also in the Game Design track is "How Gaming News Works: A Guided Tour," giving attendees a chance to learn about the past, present and future of critical writing and reporting in the game industry. While the session was first revealed earlier this year, the panel is now confirmed to consist of news writers including Alexander Sliwinski (Joystiq), Ben Gilbert (Joystiq), Pat Garratt (VG247), and Oliver Menne (Eurogamer). With GDC Europe nearly upon us, show organizers have revealed the entire lineup for the event's Smartphone & Tablet Games Summit, including new Galaxy On Fire, Flurry, and Game Insight (Paradise Island) talks. The Summit will take place Tuesday, August 14 at the Congress-Centrum Ost Koelnmesse in Cologne, Germany alongside Gamescom, and will feature some of the best and brightest in the mobile space discussing the future of the business on both smartphones and tablets. The newest sessions to be announced for the event include a look at Fishlabs' Galaxy on Fire 2 (pictured), a breakdown of mobile game data from analytics firm Flurry, and a presentation from Russian studio Game Insight on making successful multiplatform games. - In "Galaxy on Fire 2 - from AAA Premium on iOS to Freemium on Android," Fishlabs CEO and co-founder Michael Schade will discuss how the studio's popular mobile title went from premium to freemium for its Android debut. The game sustained a $9.99 price tag for more than 18 months on iOS, but as Schade will explain, that model just wouldn't work for its Android release. During this session, he'll explain how and why the Android version needed such a massive overhaul. - Elsewhere, Flurry managing director Richard Firminger will share the firm's latest data on the mobile market, shedding light on some important trends developers will want to keep track of. His session, "Mobile Application Analytics & Consumer Insight: The Biggest Content Revolution of Our Lifetime," will give attendees a better understanding of mobile game development, and drive home the long-term value of detailed data analysis. - In addition, Game Insight's vice president of business development, Darya Trushkina, will explain why developers should always be looking to get their games on as many platforms as possible. In "Cross-Platform Mobile Game Development: What, Why, and How Much?," Trushkina will reference Game Insight titles like Mystery Manor and Paradise Island to demonstrate the best (and worst) ways to ensure your game will work across multiple platforms. Of course, these new talks join a number of other sessions featured in the Smartphone & Tablet Games Summit. Other talks at the show include a detailed examination of mobile game audio, a session from Beat Sneak Bandit's Simogo on breaking away from industry trends, a postmortem on Wooga's popular Diamond Dash for iOS, and a sponsored session on why mobile devs should keep an eye on the Blackberry platform. GDC Europe is just a few short weeks away, and this year's show is certainly shaping up to be the biggest and most robust thus far. Show organizers have already revealed a slew of exciting sessions, lectures, and panels, and today they've debuted new details for the show's Expo Floor and its numerous sponsored presentations. As in years past, GDC Europe will offer a full exhibition hall, where attendees can talk directly to some of the industry's leading developers and game companies, making it a great opportunity to network and reach out to some of the biggest names in the game business. This year's Expo Floor will host major game companies including CCP (EVE Online), Crytek, EA, and Wooga, as well as notable software firms like Perforce and Havok. For a full list of exhibitors, check out the official GDC Europe website or download the show's floor plan [PDF]. In addition to the packed Expo Floor, GDC Europe will also feature a number of informative sponsored sessions from these and other influential companies. - Major middleware provider Autodesk will showcase its Gameware technology, detailing how the studio's software promises to improve production pipelines and streamline common snags in the game development process. - Elsewhere, Intel will discuss the importance of developing games than can run smoothly on mainstream PC hardware. Attendees will learn a handful of useful techniques to optimize their games and create products that can reach a larger consumer base. - Management software firm Perforce will host its own session to discuss how its software versioning solution can help small teams better manage their production cycles and chart the development of their current projects -- all at no cost to their studio. - In a mobile-focused session, Blackberry developer Research in Motion will show off its new Blackberry10 platform, arguing why it could help mobile studios monetize their games and focus on cross-platform development. - In addition, middleware firm Havok will outline how developers can use the company's Vision Engine and other game development tools to create detailed and dynamic games that can exist across multiple platforms. With GDC Europe just a couple of weeks away, show organizers are highlighting a trio of new talks in the Social and Online Games Summit, and are reminding that the deadline for regular registration is next Tuesday, August 7. Those who register online before the August 7 deadline will be able to secure reduced-pass prices for this month's show. Be sure to pick up your tickets soon, as all ticket sales after that date must be done on-site. Meanwhile, the new Social and Online Game Summit talks are just the latest to join the growing lineup for GDC Europe, which will be held Monday through Wednesday, August 13-15, 2012 at the Congress-Centrum Ost Koelnmesse in Cologne, Germany. - In "Core Games, Real Numbers: Comparative Stats for MMOs & Social Games," Kongregate co-founder Emily Greer will look at the data from the service's numerous online games, sharing the details for how and why certain titles find long-term success. During her comparative analysis, Greer will outline the basic trends in the online space, noting which mechanics and game types will make your game more likely to make money. - Elsewhere, Riccardo Zacconi, CEO of social giant King.com will host "Building A Multi-Platform Game Business Out of Facebook and Onto Mobile & Tablet." Here, he will peel back the curtain on King.com's development process, detailing how the company designs, markets, and monetizes social games that can exist across Facebook, mobile, and other platforms. - Finally, Papaya Mobile's Oscar Clark will present his case for why almost all mobile games need to embrace the free to play model, lest they be destined for obsolescence and eventual failure. The talk, "A Developer's Guide to Surviving the Zombie (Freemium) Apocalypse," Clark will explain why he thinks developers that follow the traditional premium model are looking more and more like the walking dead. Organizers of Game Developers Conference have announced the GDC Mobile App, a new multi-function tool for GDC exhibitors and attendees, to debut at GDC Europe 2012. Over the past several years, Facebook has changed quite a bit as a game platform. It's expanded onto mobile devices, added its own app marketplace, and has continued to grow as one of the largest venues for online web games. There are a lot of changes to keep track of, and if you're interested in learning how to make the most of the popular social network, next month's GDC Europe in Cologne, Germany will address that very topic in its sponsored Facebook Developer Day. This full-day event will be held the second day of the show, on Tuesday, August 14, alongside the show's Main Conference, and will include nine distinct presentations and discussions where attendees will learn how to develop, grow, and maintain successful social games. The Developer Day is available only on a first-come, first-served basis to all GDC Europe pass holders (except IGS Pass). Those who have not registered for GDC Europe 2012 yet can now pick the Facebook Developer Day as an option when registering online. - First, Julien Codorniou, Facebook's head of games partnerships in Europe, will host "Growing Social Games With Facebook: Lessons From European Partners," during which he will showcase some of the most successful developers on the platform, noting what they've achieved and how they got there. - In "Building Your Next Generation Social Game With Facebook," product manager for games and apps Matt Wyndowe will share his vision for social games on Facebook and offer his advice for how developers can grow their games on both the web and mobile devices. - Next up is a technical talk dubbed "Simple Steps To Build & Grow A Social Game On Facebook," in which partner engineer for games Colin Creitz walks attendees through the best ways to set up Facebook's Developer App, incorporate social channels, leverage achievements, and much more. - During the lunch break, a number of developers will take a moment to share their experiences on Facebook, noting how they incorporated social features into their games, how they leveraged the specific features on the platform, and where they think social games are headed. - After the break, engineer Ali Parr will discuss how developers can integrate Facebook into their native iOS or Android games in a lecture titled "How Mobile Games Can Plug Into Facebook For Massive Growth." - In "Driving Installs And Re-engagment With Open Graph," Facebook's Gareth Morris will showcase how Facebook's Open Graph has helped increase traffic and user engagement for games such as SongPop (FreshPlanet) and Marvel Avenger's Alliance (Playdom). With GDC Europe almost upon us, the show's Independent Games Summit has added three new talks, covering experimental titles like Trauma and Proteus, as well as what developers should do after they've launched their game. The Independent Games Summit takes place Wednesday, August 15th, 2012 at the Congress-Centrum Ost Koelnmesse in Cologne, Germany during the Gamescom trade show, and is accessible via a special reduced-price Indie Games Summit Pass, as well as by all other regular pass types. 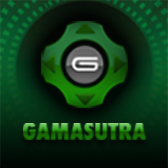 - First, independent Polish/German developer Krystian Majewski will detail the creation of his atmospheric point and click adventure game, Trauma. 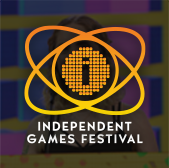 The game has been nominated by numerous competitions, including the Independent Games Festival, and in his session, "Trauma Making of: From University to Indie," Majewski will discuss the game's entire history, beginning with its inception as a final thesis project for his university and leading up to its final commercial debut. - Elsewhere, attendees will get a behind the scenes look at the minimalistic, exploration-focused title Proteus (pictured) - a game that values abstraction and aesthetics over more traditional game design tropes. During this session, "Abstraction and Experience: Observations on Proteus," UK indie Ed Key will explain how he and his partner, David Kanaga, referenced their personal experiences to craft this unusual game. - Finally, Rob Davis, the founder of the London-based game studio Playniac, will host "Beat the Post-Launch Blues: Your Game is Out, What Now?" During this session, he'll discuss the things developers need to keep in mind once their game is out in the wild. The talk will cover everything from promotion, content updates, business partnerships, and more - everything an indie dev needs to consider to make sure their game survives after its launch. This year's GDC Europe is almost here, and if you're looking to attend, organizers are reminding there's just one day left to secure discounted passes for the August show. Those who register online before the July 18th deadline will save up to 200 Euros on individual show passes. Since those lower prices are about to expire, now's a great time to sign up for what promises to be the biggest and most exciting GDC Europe yet. As always, the show is bringing together some of the biggest names in the European and international game industries to discuss major practical takeaways for today's video game market, with presentations ranging from in-depth lectures, panels, case studies, postmortems, and more. GDC Europe will take place Monday through Wednesday, August 13-15, 2012 at the Congress-Centrum Ost Koelnmesse in Cologne, Germany, just before the popular Gamescom trade show. In fact, a Gamescom ticket is included alongside all regular GDC content passes. - Robin Hunicke, formerly of thatgamecompany (and now of Tiny Speck) will host an in-depth postmortem on the critically acclaimed PSN-exclusive Journey. She'll pull back the curtain on the game's three-year development cycle, examining how the game lived up to its original vision and what the team learned along the way. - Elsewhere, attendees will get an inside look at the creation of the Nintendo 64 classic, GoldenEye 007. During this postmortem, former Rare director Martin Hollis (now of independent studio Zoonami) will showcase how this licensed movie title evolved from an on-rails shooter into the 8-million unit selling title that popularized the console-based first person shooter. - Wargaming.net's World of Tanks has grown into one of the industry's most popular online games, and at GDC Europe, Wargaming.net CEO Victor Kislyi will outline the game's explosive growth, and argue why the free to play model could spell the end of the boxed retail game. - In addition, concept artist Tobias Mannewitz will discuss what video game artists can learn from HBO's hit fantasy show, Game of Thrones. Mannewitz worked on Season 2 of the George R.R. Martin-inspired epic, and at GDC Europe he'll share what he learned to help artists improve both their pipelines and the quality of their work. - For years, DICE's Battlefield series has stood out as one of the leading franchises in the first person shooter space, and at next month's show, DICE general manager Karl Magnus will reflect on the last 10 years of the successful series, noting how it changed, and how the studio has sustained the franchise's success. With just two days to go until early registration ends for GDC Europe 2012, show organizers have debuted brand new talks including a major retrospective on Battlefield developer DICE, a panel on financing games, as well as presentations on both Unreal Engine 4 and CryEngine 3. These talks all fall within GDC Europe's Main Conference, which takes place Monday through Wednesday, August 13-15, 2012 at the Congress-Centrum Ost Koelnmesse in Cologne, Germany. Be sure to register soon, as those who do so before July 18 will save up to 200 Euros on their show pass. - In the show's Production track session, "Passion For Entertainment: 10 years of Battlefield/20 years of DICE," DICE general manager Karl Magnus will chart the trends and changes that helped shape this long-running and successful big-budget studio. Along the way, Magnus will explore how DICE supported and altered its popular Battlefield franchise as it transitioned from working as a traditional boxed product developer to one that supports persistent online services around the clock. In addition, he'll share some key design insights behind the studio's biggest games, giving attendees a chance to learn what's made DICE's games so successful. - Over in the Business & Marketing track, a notable panel of independent European game developers and financiers will help answer one of the biggest questions in modern game development: How do you get your game financed? In this panel, "Financing Options for Smaller Games," speakers including Nicholas Lovell (GAMESbrief), Jonathan Newth (Tenshi Ventures), Patrick O'Luanaigh (nDreams), and Ciaran O'Leary (Earlybird) will share their thoughts on how developers should raise money from investors, the benefits and pitfalls of crowdfunding, and much, much more. - In a number of recently added GDC Europe sponsored sessions, major companies including Intel, Crytek and Epic will discuss their business in talks open to all attendees. In particular, Epic Games will host a real-time demo of the upcoming Unreal Engine 4. Here, the studio will provide one of the first public showings of the engine's "Elemental" demonstration. In addition, Crytek will showcase a brand new, small-scale project created with CryEngine3's free SDK, and a look at the tools used in the the upcoming free to play shooter, Warface. In the latest update for GDC Europe, event organizers have revealed an all-new session covering the evolution of World of Tanks developer Wargaming.net, as well as mobile game talks covering Wooga's Diamond Dash and tips for cross-platform development. Like the rest of the sessions at GDC Europe, these talks will take place Monday through Wednesday, August 13-15, 2012 at the Congress-Centrum Ost Koelnmesse in Cologne, Germany. - Over in the Business & Management track, Wargaming.net CEO Victor Kislyi will discuss how the free to play model was essential to the success of the studio's hit game World of Tanks, and why that model could spell the end of the boxed retail game. The talk, "World of Free-to-Play - Triple A by Wargaming.net," will examine the company's growth since it embraced the free to play model, and Kislyi will argue why it works, how it should be implemented, and why it's a better fit for today's players than any other business strategy out there. - As part of GDC Europe's Smartphone & Tablet Games Summit, Wooga lead product manager Christopher Parschat will look back on how the social giant moved one of its most popular games to mobile in "Postmortem: Bringing Diamond Dash to iOS." Diamond Dash was the first Wooga game to make it from Facebook to iOS, and in this session Parschat will outline how the company created a new version of the game that offered synced cross-platform play with the original version on social networks. Along the way, he'll share some important lessons learned to help any developer looking to adapt a Facebook title to iOS. - Also in the Smartphone & Tablet Games Summit, Darya Trushkina, the VP of business development for the Russian game studio Game Insight, will present a number of case studies to help developers create mobile games that span both iOS and Android platforms. His talk, "Cross-Platform Mobile Game Development: What, Why, and How Much?," will examine cross-platform Game Insight titles like Mystery Manor and Paradise Island to explain what works when creating a multiplatform game, and perhaps more importantly, what doesn't. In the latest update to the GDC Europe Independent Games Summit, organizers have added three new talks, including discussions on game design from Fotonica developer Santa Ragione and level design from Eufloria HD developer Omni System, with postmortems on the 100-player Renga and the 250 square-meter LED screen displayed Rocket Bullet Storm. The Independent Games Summit takes place Wednesday, August 15th, 2012 at the Congress-Centrum Ost Koelnmesse in Cologne, Germany during the gamescom event, and is accessible via a special reduced-price Indie Games Summit Pass, as well as by all other regular pass types. - In 'Games Happen: Design Lessons from MirrorMoon and Fotonica', Santa Ragione's Pietro Righi Riva will provide insight into creating his team's experimental games, sharing the design concepts and philosophies he discovered making titles that focused on the player's freedom to enact and interpret them. - Rudolf Kremers of Omni Systems will explore how to do more with less in creating game worlds much like Eufloria HD's own, implementing techniques such as procedural content generation and modular design. Kremers will also discuss how to employ user generated content in his 'Adventures in Negative Space' lecture. - Finally, the postmortems of wallFour's Renga and Nemesys Games' Rocket Bullet Storm will highlight creating unorthodox games which involve social gaming at live events. Renga asked 100 players to interact cooperatively, and Rocket Bullet Storm had its debut projected onto 250 square meters of LED screen. This session will be especially for developers who want to bring in new gamers to play in unorthodox spaces.